Classic-Castle.com • View topic - GoH: What my mulled wine smells bad? GoH: What my mulled wine smells bad? 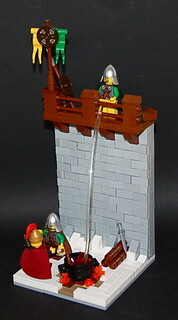 This was actually my first MOC for Guilds of Historica . Re: GoH: What my mulled wine smells bad? Hahaha! I remember you building this sometime back so it's great to see this humorous MOC again. The look of the castle wall is incredible. It has a very realistic feel to it. Keep it up! That's indecent exposure! But it made laugh so it's all good. Ha ha, so gross! Again I marvel your brick and wood work.